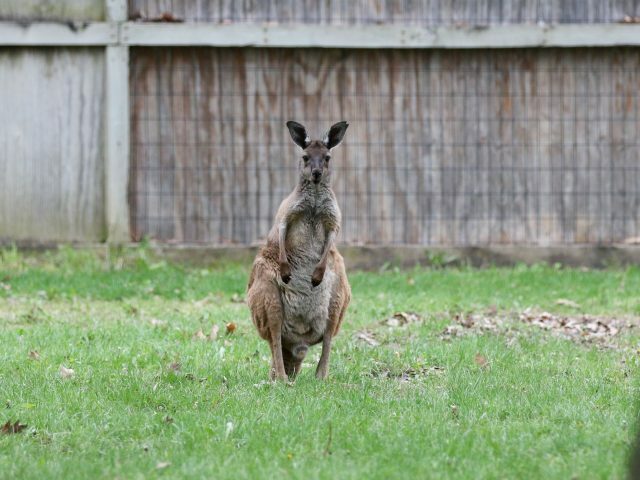 The western grey kangaroo typically has light grey-brown to dark chocolate-brown fur and large ears fringed with white hairs. 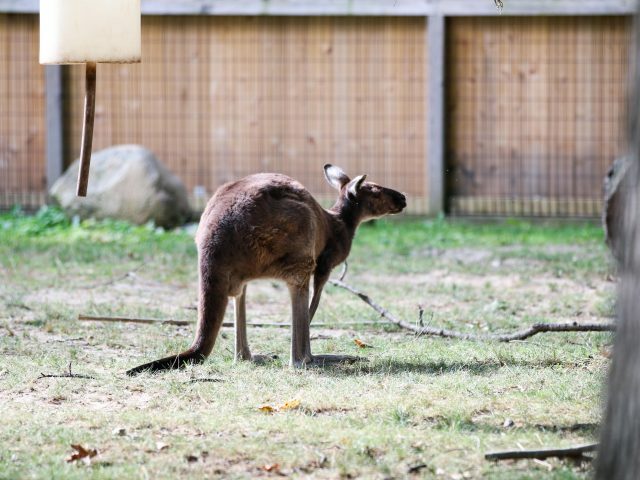 There are two subspecies of western grey kangaroo native to Australia, which can be distinguished by color and location. One subspecies is from Kangaroo island individuals are typically a dark brown to black with shorter limbs, ears and tails. The subspecies on the mainland tend to have darker brown on the head and back, and bluish-grey fur underneath. 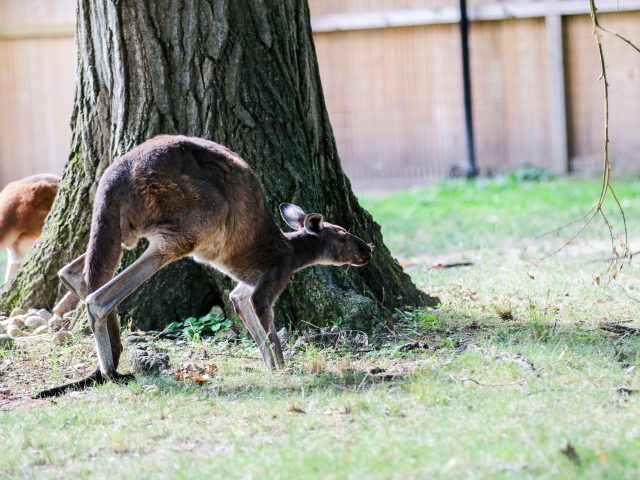 The western grey kangaroo is most active from late afternoon to early morning and can typically be found resting under trees and shrubs during the heat of the day. When moving slowly they show an unusual ‘five-footed’ gait where they balance on the tail and forearms while swinging the hind legs forward. 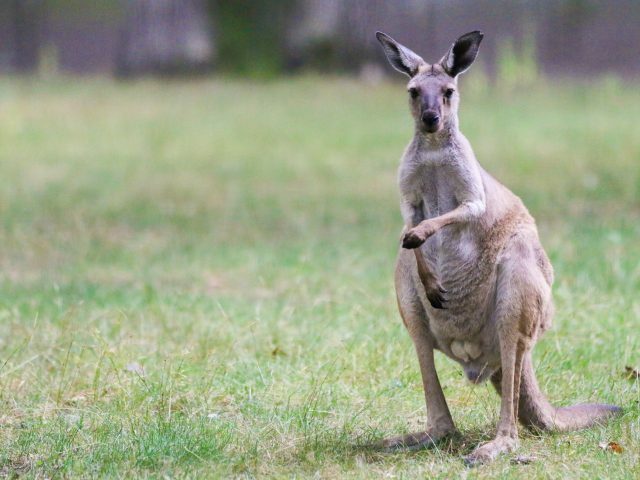 Western grey kangaroos usually lives in mobs of 40 to 50 individuals, and older males can be solitary. 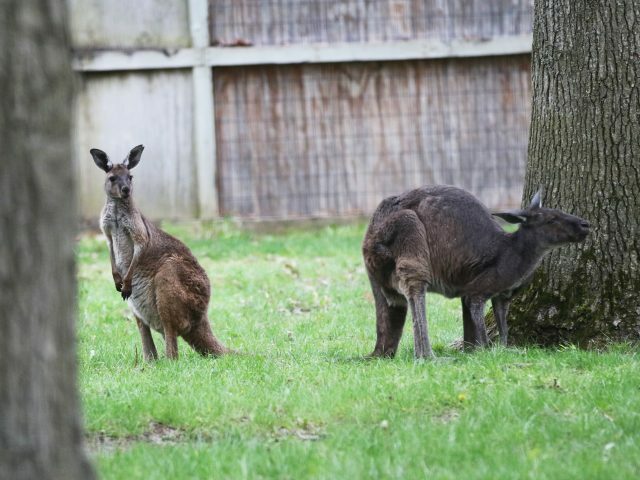 Potter Park Zoo is currently home to two male western grey kangaroo. The older male, “Grey”, was born in 1994 at the National Zoo in Washington DC. Our young male, “Oscar”, was born in 2015 at the Los Angeles Zoo. 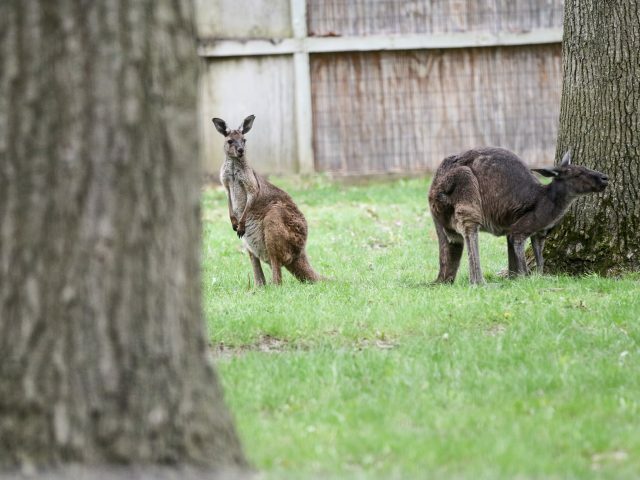 They live with 4 red kangaroo. Females are 60-80 lbs and males are typically 120-200 lbs. 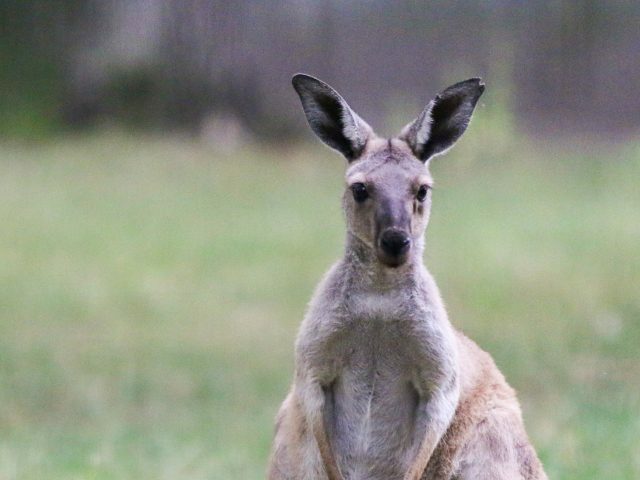 Kangaroos are herbivores, eating only plants.